Going to the same gym and using the same gym equipment everyday can get very redundant. You don’t want that when it comes to working out. Keep it fresh and exciting. Try new things and challenge your body with new techniques and new equipment. When it come to this, sometimes you have to get really creative. But I think that is the best part. I’ll help you out in this article by giving you these 5 unconventional training tools that are extremely useful. 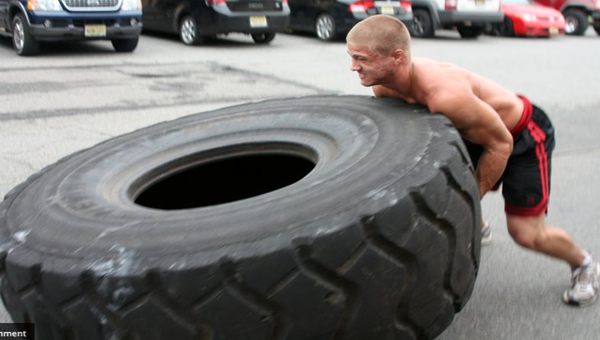 You can do total body workouts literally with just a huge tire. If it’s sturdy enough you can jump onto it and inside of it. You can flip it which is a total body workout (make sure you have correct form). You can even beat it with a heavy sledge hammer for explosive core strengthening. Try putting your feet up on the tire and doing push-ups at an incline. The one downside to having a huge tire is that it takes up a lot of room and it’s slightly impractical to lug around to different training locations. The resiliency of the tire makes up for that because you can leave it just about anywhere, outside or inside, and it will last for a very long time. You can usually find tires for free at car shops that service big trucks. Sometimes they have tires that they are about to throw away because they are unusable for driving. These bunjee chords are similar to resistance bands that you can find in gyms. If you want to get an official set, click here. Although, you may have some of these unconventional bands laying around your house. The bad news is that with these bands you may have to tweet them a little bit to make them useable for training. 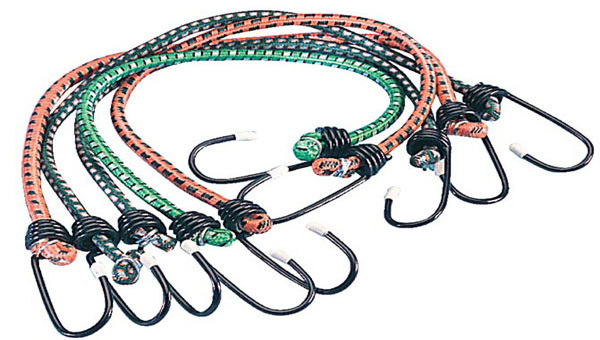 For example, they have hooks on the end of them which you may have to bend around make-shift handles. You can make handles out of rope or duct tape. You can also attach one end of the chords to a belt so you can do sprinting drills with resistance. Even without making handles you can use these bands for resistance on bicep curls, tricep extentions, and shoulder exercises like the upright row. From personal experience, this is one of the easiest pieces of equipment to put together. Every man loves using power tools to make something that he can call his own. If you get some of your friends together, go get some wood materials. You can put a few boxes together in no time at all. 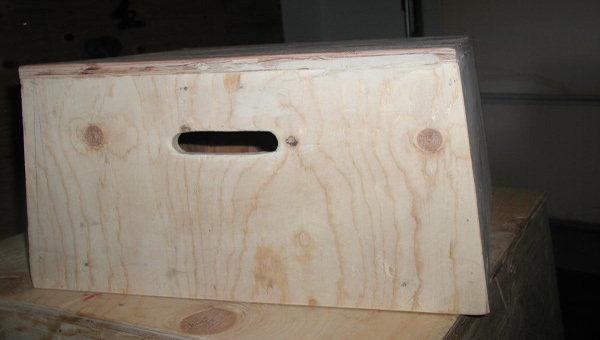 Plyo boxes can be used to do full body workouts. You can jump on them, or use them to do box squats. If you put your legs up on them you can do push-ups on an incline (similar to the tire). If you have two boxes you can place them on either side of you and do dips. You can get these weighted bags online, but it is surely easier and cheaper to make one yourself. Military stores usually have very sturdy bags that can last through long beatings. All you have to do is fill it with dirt or sand and then weigh it to make sure it’s how you like it. If your workouts are really intense some sand may fall out, but it’s really easy to refill. 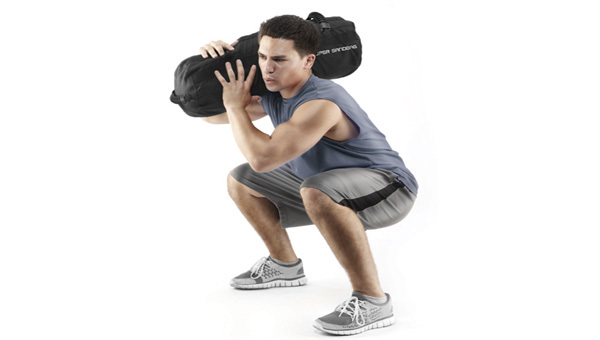 You can use sand bags to do front squats, tosses, or even tie a rope to it and drag it. Its super versatile and you can store it almost anywhere. Battle ropes are pretty expensive to buy. I would recommend checking at some local fire departments to see if they have some old fire hose that they are willing to give up. Usually fire stations throw away old gear that they don’t think they can completely depend on. You can also use long chains. 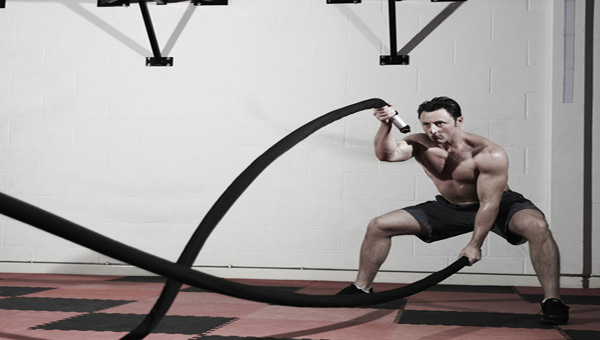 The battle ropes can be wrapped around a tree, or a piece of gym equipment. Make sure it is secure. You can wave the ropes up and down or side to side for a killer shoulder workout. Sometimes it’s good to get outside, or in a different atmosphere and workout with some fun toys. These 5 unconventional training tools are extremely useful, and the best thing about them is that you can personalize them and make them your own. Go find some wood or bunjee chords and make some equipment that you can use for your specific style of training. If you have any trouble crafting the equipment, or need any advice you can contact me and I will write you back right away with advice. Or, if you already have some experience with unconventional equipment, don’t be scared to leave a comment below to brag about it.